The no-cost, full-feature, Virtual Meeting Room. Enjoy unlimited meetings* with up to 3 attendees for up to 30 minutes. The term ‘Freemium’ simply comes from the words Free and Premium - it is an entirely free, full-featured meeting room, ready for your use. 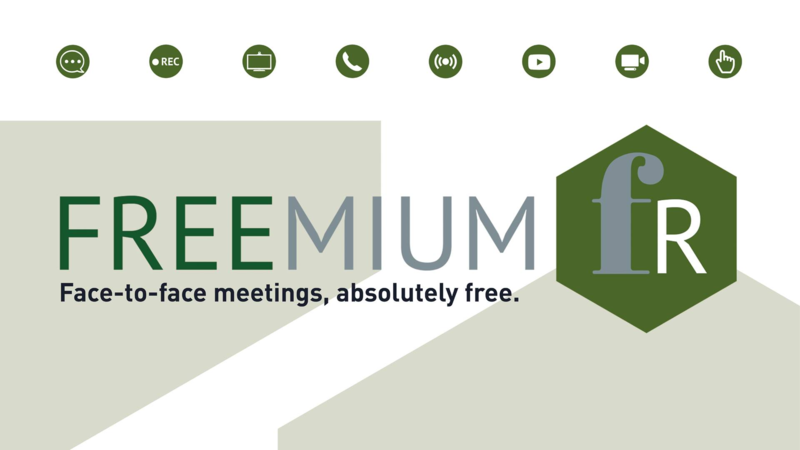 Designed as an evaluation product, Freemium offers a free and simple way to join a meeting in just a few clicks and enjoy professional video meetings from anywhere, with up to 3 attendees for 30minutes (subject to fair use). Close is hosted in the cloud, meaning there are no downloads required to get started and it doesn't require a client to connect. Only need one room? No problem. As you upgrade and scale, we don't require you to purchase a minimum number of rooms. With Freemium, you have complete freedom to use any and all of the features that we offer, right from the word go. Close offers video meetings that don't require any new or complicated hardware to get everyone in the same room. 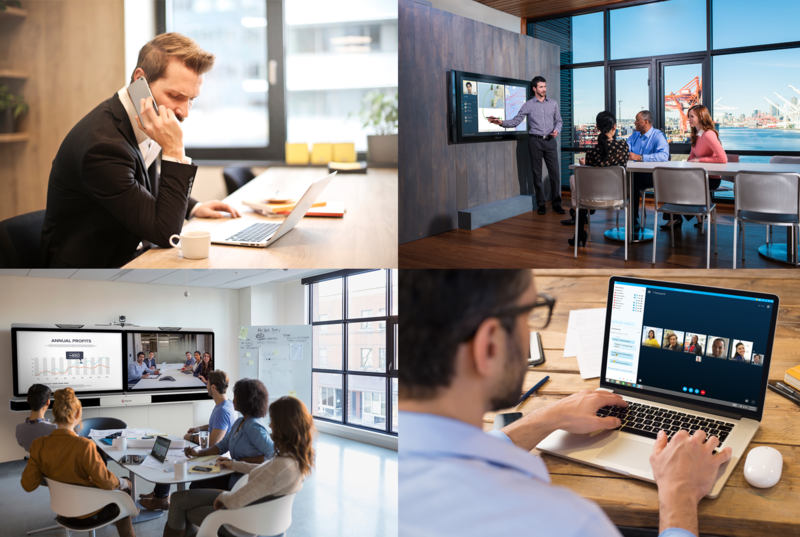 You and your teams, partners and customers can access your meeting room at any time, from any device; dial-in using a legacy videoconferencing unit, smartphone, tablet or computer, via web browser. We also enable you to connect different video platforms and technology, all at the same time, within the same meeting. This means anyone can connect, wherever they are, on the technology they're familiar with. Our video is built around Pexip Infinity technology; a certified Microsoft Partner and award-winning meeting and interoperability platform. Close audio is powered by Twilio Elastic SIP trunking technology; an industry leader in cloud communications. Freemium Spaces are hosted on Microsoft Azure; an ever-expanding set of cloud services with the highest security standards. Unlike other providers, Close retains the native end-user experience of Skype for Business. Add an Outlook contact - simply add your Virtual Meeting Space as a contact with the room address as the email address. Skype for Business search - simply enter the name of your Meeting Space into the search, as you would for a normal contact. Video calling experience - click 'Start a Video Call' to initiate a meeting and remain within Skype for Business. Send invites from Outlook - invite a contact with details for other platforms and devices to join – by Audio, URL, IP or SIP/H.323 . This eliminates the need for expensive training and lowers the cost of implementation and management; users continue using the devices and platform they are familiar with. No plugins. No 3rd party applications. 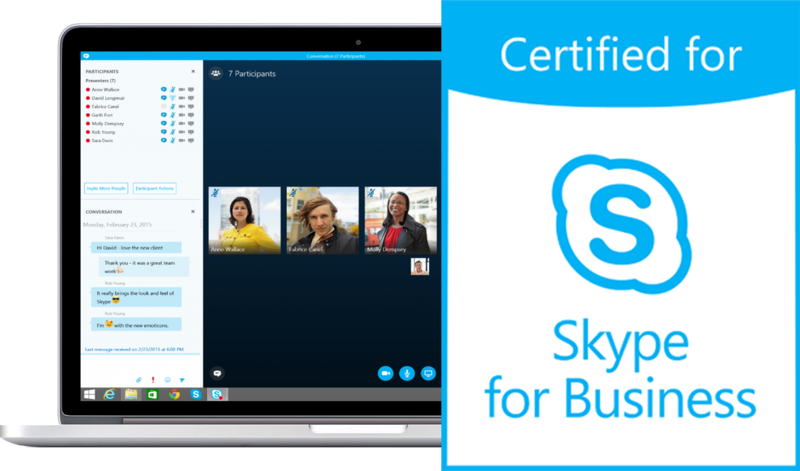 Simply Skype for Business. Record your meetings to review and share them with your team. Simply join a meeting, click record and view or download your recording from your personal dashboard. Easily share presentations, documents, application windows and more with your participants. View your guests screens to experience real-time True Collaboration, across all platforms and devices. Close Meeting Spaces enable you to chat across platforms and devices, allowing simple messaging between participants without interrupting the current speaker. Enable online streaming capabilities by simply entering the address of your webcasting service and clicking to stream. Enable streaming to YouTube by simply entering your unique YouTube streaming address, which can be generated from within your YouTube account. Connecting video conferencing hardware has never been easier. Simply enter a SIP or H.323 address into your Meeting Space and click dial. Effortlessly connect your video conferencing hardware like never before. Simply set up your Meeting Space with a SIP or H.323 address, and that address will be automatically dialled when a meeting begins. Connect your video conferencing hardware to a Skype for Business meeting. Simply add your Meeting Space (with automatic dial-out set up**) as a contact within Skype for Business and then Drag 'n' Drop it over to a live meeting. © 2018 Close All Rights Reserved.